I’ll cover my recent testing of YouTube’s new sponsored search campaigns. Will the be the next AdWords? Or will it be a flop? I’ll also be taking your live questions on anything to do with doing business online and Internet marketing… See you there @ 6:30 PM Pacific Time. 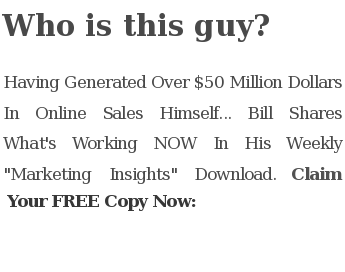 This entry was posted in Bill's Schedule and tagged adwords, Google, google adwords, internet marketing, live marketing show, live show, Online Marketing, pay per, pay per click, ppc, search engine marketing, ustream, video, Video Marketing, youtube, youtube marketing by Bill McIntosh. Bookmark the permalink.